In a 2006 article about the Emmy Awards that appeared in Documentary magazine, the author, Andrea Van Hook, wrote, "So now that you've made your film, shepherded it through the festival circuit, had a feature release and successfully inked a television distribution deal, it's time to think Emmy...all you've got to do is produce an outstanding documentary film. How hard can that be?" Actually, really hard, as I came to find out. I Survived BTK, my high-concept, micro-budget, true-crime debut attempt at documentary filmmaking, a film about a serial killer in Kansas and one of his surviving victims, had struggled to create a mass-market groundswell. The film had spent nearly two years on the festival circuit. I thought the film was commercially viable but, by January 2010, the project teetered on the edge of obscurity. There were no sales agents in place. No deals of any kind had been offered and there'd been no commercial release; the Emmys had never entered my mind. Admittedly, I was unprepared for the whole experience and, in summer 2007, I knew nothing about launching a documentary film. Leading up to the American Film Market, I'd listened to the wrong people and made some poor choices. When the rough cut of ISBTK was ready that fall, I opted to pass on screening it for potential sales agents at AFM. After the AFM window had closed, the road to launching and releasing the documentary became much longer and more difficult. During the few months after AFM, I'd submitted the film to Silverdocs, Hot Docs, Sundance, Toronto and SXSW. Each one of them gave it a solid "thanks but no thanks," and I learned the submission process regarding certain festivals wasn't exactly as egalitarian as I'd believed. That said, the doc was accepted into about a dozen other respectable, mid-level festivals and thus, in 2008, ISBTK began its festival journey, traveling almost exclusively under its alternative title, Feast of the Assumption: BTK and the Otero Family Murders (a project of IDA's Fiscal Sponsorship Program). Bumpy as the path was, after the film's premiere in Wichita, Kansas, it became apparent that ISBTK was looking like a cross-genre film. It played quite well to the documentary crowd despite never having appeared in a doc-specific festival and, to my delight, the film showed even better at a few horror festivals. On the strength of its newfound audience and mostly solid reviews, I decided to capitalize on whatever momentum had been built and give AFM a shot in 2009. I knew the film was no longer considered "new," but I was convinced that a sales agent would see BTK's potential. With my decision made, the mission ensued. In September and October 2009, after conducting thorough research based on similar sales made at previous film markets, I solicited over 200 international sales agencies-mostly companies that had successfully licensed horror films on an international level. The majority of them never wrote back, but I received about 20 responses requesting a DVD copy of the doc nonetheless. In the subsequent weeks, a dozen sales agencies followed up with requests for meetings at AFM. It looked like the film was finally going somewhere. In every meeting I took, however, I was given the same response: Everyone had enjoyed the film and saw its commercial potential, but docs, especially by a first-time, unknown director, were a tough sell, and since none of the sales teams had had the opportunity to initially strategize and launch ISBTK, every sales rep was apprehensive about investing any time and money into the project. Despite having documented one of the highest-profile serial murder investigations in US history and having invested so much practical, creative and financial energy, I Survived BTK was destined to be a straight-to-Amazon DVD. I'd prepared a Special Edition disc to be released through Amazon on February 25, 2010—the sixth anniversary of BTK's arrest—and in a way, I was relieved. Spearheading a large-scale project like ISBTK with no prior experience translated into plenty of mistakes, but despite the vicissitudes, the film had found its audience and earned its share of fans, too. Even if there'd been no high-profile launch or domestic theatrical or television deal, I took solace knowing the holidays were coming up and that the DVD, at least, could be sold in the open market. But it was a bittersweet realization. Sometime between Thanksgiving and Christmas 2009 I received a phone call that saved the film from the clutches of nebulosity. A well-known sales agent whom I'd solicited had a change of heart and wanted to discuss and explore ISBTK's possibilities. He'd executive-produced some of David Cronenberg films in the late '70s and early '80s, and he felt he could do something with the documentary. The deal he proposed was a short-term, working experiment, but if I was interested, he and his team wanted to take the film to Berlin, Cannes and other international film markets. There would be no advance, and artwork, screeners, press kits, etc., would have to come from me. After discussing the offer with my attorney, I agreed to those terms, on one condition: In the event of a sale, the agency would have to cover the E&O policy costs and recoup their money out of gross receipts later. Shortly thereafter, the paperwork was executed and ISBTK finally had a shot at international distribution. The 2010 European Film Market proved promising, as France, Italy and the UK all expressed curiosity about the doc, and while none of my agency's distributors in those regions were documentary-friendly, they all saw ISBTK's crossover potential. By the end of the market, it appeared that Lionsgate UK Home Entertainment would be a good fit for the film, as long as I changed the title and re-cut the film for the UK audience; the latter condition bothered me more than the former. According to the Lionsgate executives, some parts of the film, especially at the beginning, were deemed too "real." To them, there was a remarkable corollary between violence portrayed in entertainment and actual violence on the streets of the UK, and if I wouldn't recut the documentary, the offer would be rescinded. A brief discussion followed, which covered everything from artistic integrity to the costs involved, but I returned to the editing bay, and a few days later, I had the UK version—the newly rechristened I Survived BTK—ready for delivery to Lionsgate. Lionsgate and the sales agency got the film into the UK's Frightfest and Toronto's 2010 Fantasia Film Festival, respectively. Due to a few technical glitches on the DigiBeta tape the sales agent had made, I Survived BTK received mixed reviews at both festivals, and was later released as a horror film throughout the UK on DVD, iTunes, LoveFilm and other digital platforms. Not long after, as the deal with my foreign agent was nearing expiration, they introduced me to an interested US aggregator who allegedly specialized in documentary programming for the American TV market. Since the film had no domestic representation at the time, he and I worked out a deal but, nearly a year after assigning BTK's North American television rights to his company, he had made no progress in securing a sale. After claiming to have exhausted all of their domestic broadcast resources, his team opted to forgo a television deal altogether. Discovery, A&E, HBO, IFC and others had supposedly passed, and he wanted to make the film available on Netflix, iTunes, Hulu and VOD as soon as possible. The idea of multi-platform digital distribution was fine with me, but something wasn't right. 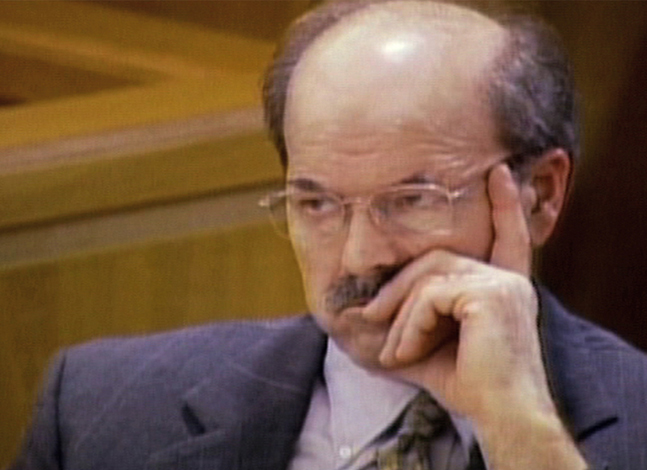 There was no way that every relevant US broadcaster and network had passed on the film; by then, the BTK case was notorious the world over. Someone had to be interested. So, as producer, I bypassed my sales agent and contacted The Documentary Channel. The Documentary Channel seemed an obvious choice. Dorothy Henckel, the director of acquisitions, whom my sales agent had neglected to contact, was interested in the project. Moreover, she informed me that the channel does not pay licensing fees for programs that have previously aired on Netflix and other subscription-based VOD platforms. However, if The Documentary Channel acquires and premieres a program, they pay a license fee in the $5,000 to $7,500 range, with the high end being $10,000+. Moreover, the channel supports its films through various promotions like Doc Talk and works directly with producers, as well as their agents, which some broadcasters and content providers will not do. Given my domestic sales agent's ignorance of the channel's policies, I terminated our agreement and struck a deal for a primetime slot on January 15, 2012—the 38th anniversary of the BTK's first murders. So what if the film went head-to-head against the NFL playoffs? I was to secure both money toward production costs and an opportunity for Emmy consideration. The Emmy landscape consists of three organizations: the Los Angeles-based Academy of Television Arts & Sciences (ATAS), the New York City-based National Academy of Television Arts & Sciences (NATAS), and the International Academy of Television Arts & Sciences (IATAS), the latter an organization geared specifically toward programs that initially air outside the US. Each academy has different but equally prestigious awards for documentaries, news and nonfiction programming. According to Jessica Latiolait, awards coordinator at ATAS, it is not necessary to be an academy member to submit a project for consideration. Due to my own budgetary constraints, that was encouraging news. Still, I discovered I could afford to become an associate member, which allowed me to submit a program but not judge any entries. Membership also allowed for one entry fee to be waived and for a second fee to be half-price. For all of ATAS' program categories, only the producers are recognized. The individual categories (Writing, Directing, Makeup, Casting, etc.) exist for the other members of a production team involved to be recognized for their contributions. The Primetime Emmys brand is exclusive to ATAS and has seven nonfiction categories. Entry fees are waived for the Exceptional Merit category (whether or not you are a member) but not for Nonfiction Special or Nonfiction Series. If I entered ISBTK into the Exceptional Merit category but it got rejected, for example, there'd be no charge to be placed into the Nonfiction Special or Nonfiction Series categories (were it applicable). Exclusive to the Exceptional Merit category, an essay is required, and the documentary in question needs to meet these criteria: The film should be an "indelible work that impacts, transports, informs and enlightens its audience." Once the entry period has passed, the Governors and Nonfiction Peer Group Executive Committee weed out the programs. Next, for the first and second rounds of voting, a panel of 10 to 20 nonfiction filmmakers, selected by the ATAS' Nonfiction Governors, votes to determine the nominees and then the winners. Also, one project may submit to any and all eligible individual achievement categories, but to only one program category. The costs to enter individual achievement categories start at $200 for one person and increase to $400 for two to four people, $500 for five to eight people and $600 for nine or more people. Program categories start at $400 for one producer and rise to $800 for nine or more producers. The ATAS eligibility period runs from June 1 to May 31 of the following year. Nominations for all nonfiction categories are announced mid-July, and winners are announced at the Creative Arts Emmy Awards mid-September. For the past nine years, David Winn, a self-described news junkie and cinefile, has been the director of the News & Documentary Emmy Awards for NATAS. Having worked under TV news legend Bill Small, Winn has directed all aspects of the competition—from the writing of the rules through the processing and judging of over 1,400 entries each year, to the staging of an annual award ceremony attended by the national broadcast journalism and documentary filmmaking community. His influence has led to the addition of categories open to new media, including original reporting and documentary filmmaking produced for the Internet and other forms of digital distribution. As with the ATAS, I did not need to be a member of NATAS in order to submit to the News & Documentary categories, but there are no price breaks on submission costs, and if I did wish to become a member, I'd have to join through an individual local or regional chapter. Additionally, to be eligible for a NATAS nomination, ISBTK would have to be made available for viewing (over-the-air/cable/satellite broadcasts, as well as online or on-demand) during 2012, but would only be eligible for the 2013 awards. The entry forms are fairly straightforward, but they do require each entrant to submit a one-page essay arguing for the "Emmy-worthiness" of the submission. According to Winn, the essay is not the most important element of the submission, but it allows the producer the opportunity to have a direct conversation with the judge(s) about the film. That said, take care to avoid "marketing speak." Lastly, a filmmaker may submit a documentary in one program category (Investigative Journalism Long Form, Historical Programming Long Form, etc. ); one "Best of" category (Best Documentary, for example); and any of the seven "craft" categories (Writing, Research, Cinematography, etc.). Occasionally, films will straddle two categories, so the filmmaker will need to make a judgment call. NATAS also advises not to try to game the system by placing a film in a category that seems like a stretch, with the hope that it will stand out. Judges have been known to move entries they feel were placed in the wrong category. The cost of entry varies (anywhere from $200 to $400 per category), and there's roughly a $50 difference in price per category depending on submission deadlines, so submitting early will save some money. As with ATAS, NATAS' nominations are typically announced mid-July and the winners will be announced in late September or early October. With my education on all things Emmy, I weighed my options based on costs and timing. Joining ATAS meant less expensive entry fees and closer proximity to my home. As for timing, ISBTK had aired in primetime during 2012 and according to ATAS' rules, one can earn an award that same year. For a NATAS nomination, I'd have to wait one full year more. I decided to join ATAS (as an associate member) and I submitted the film for Primetime Emmy consideration in three categories: Outstanding Directing for Non-Fiction Programming, Outstanding Writing for Non-Fiction Programming and Exceptional Merit in Documentary Filmmaking. The Documentary Channel reaches over 20 million homes in the US and is only available on Dish Network and Direct TV, but as a specialty channel, it is obscure by Academy standards. Unlike with Discovery or A&E, there was no box to check when filling out the paperwork, so I hand-wrote "DOC: The Documentary Channel." Jessica Latiolait, the awards coordinator, walked me through the submission process and soon after, I Survived BTK became eligible for Primetime Emmy Awards consideration. It was intimidating going up against nonfiction programs from HBO and PBS, but I felt the playing ground was level enough when it came to the Exceptional Merit category, so I set about writing my essay touting the merits of my film. Did the film impact, transport, inform and enlighten its audience? Was it an indelible work? I'd worked my way out of tight spots before, but boasting about my film without sounding precious and pretentious was a real challenge. Luckily, fate intervened by way of an e-mail from one "Carole M.," who'd recently caught the film on The Documentary Channel. She'd written Kate Pearson, senior vice president of programming and acquisition, about her experience watching the film, explaining how, among other things, the story had moved her to tears. Carole wanted to reach out to the film's subjects in order to help them in some way. "Thank you for presenting their story," she wrote. "I found it to be truly moving and inspiring...a testament to the human spirit." Carole's message turned out to be the backbone of my essay. A few weeks had passed since ISBTK was submitted for consideration and by early June, I'd done a pretty good job of trying to forget about the whole Emmy adventure. Only a few close friends, my attorney and my mom knew about it (I didn't even tell The Documentary Channel), and we were all aware that getting nominated was a far-out concept. To say the competition was tough and had deep pockets was an understatement. Nearly every program and broadcaster we were up against had an established Emmy track record. Though I'd been living with the classic "expect the worst but hope for the best" mindset, in mid-June, Latiolait notified me that I Survived BTK had somehow squeaked past the first round of judging in the Exceptional Merit category. There were fewer than 10 films for the second round, which would take place a week later. Shortly after those votes were cast, I learned that BTK, along with three other projects, had been shortlisted for an Exceptional Merit in Documentary Filmmaking nomination. Suddenly, the film I'd spent eight years working on was in very lofty company: Paradise Lost 3 (HBO), Have You Heard From Johannesburg (Independent Lens/PBS) and The Amish (American Experience/PBS). I'd be notified of the nominations six weeks later. The morning of the nomination announcements arrived—and of the four documentaries on the shortlist for the Exceptional Merit Award, ours didn't advance. In fact, although normally only two films receive a nomination in that category, due to a tie in the second-round voting process, the other three films received nominations. I took a day or two to recover from the bad news. It was a rush, an honor and a privilege to see just how far I Survived BTK had made it on the primetime level. Sure, I wish a nomination had come my way; to narrowly miss such greatness is a bitter thing. To me, clinching an Emmy nomination would have at least let those who'd donated their efforts over the years know their work wasn't in vain. Plus, we all need our egos massaged every now and again, and what better way to do that than with a nod from ATAS? I'm also sure that a nomination, especially in the Exceptional Merit category, would have made the film's main subject, Charlie Otero and even his deceased family members and other BTK victims, proud, and would have made a difference in my career. Considering how far from behind the film had come, however, I'm lucky it made it as far as it did, and I owe a great deal of thanks to everyone involved, especially to my family. I Survived BTK was released January 15 on all domestic digital platforms. The Special Edition DVD can now be purchased through Amazon at http://unsubfilms.com/shop/. Marc D. Levitz is keeping an open mind when it comes to new projects. For the past year, he's been developing new documentary ideas; he's now seeking representation as a director and producer and with the help of friends, is currently transitioning into the world of reality television production.